Manuelle Gautrand was born in 1961 in Marseille / France. In 1985, she earned her degree at Ecole Nationale Supérieure d’Architecture de Montpellier and subsequently worked for various architectural practices in Paris. 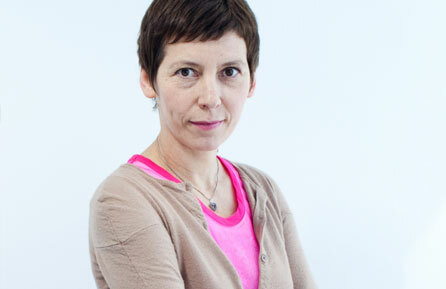 In 1991, she established the practice Manuelle Gautrand Architecture in Paris. The 20-member team of architects develops projects for contracting authorities and private clients in France and abroad. The “C42” project, the Citroën flagship store on the Champs-Elysées in Paris, has earned the practice international attention as well as various awards. 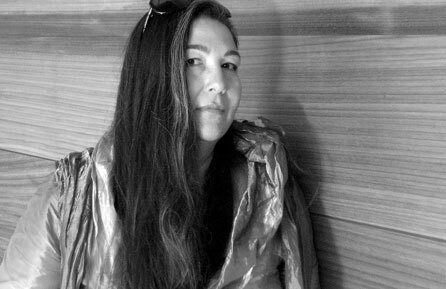 Ushi Tamborriello was born in 1964 in Haslach / Kinzigtal. After completing her interior design studies at Wiesbaden University of Applied Sciences, she worked as a freelance designer and interior architect from 1990 to 1997. She established her own office in Munich in 1997, whilst simultaneously studying production design at the University of Television and Film in Munich until 1999. Since 2004, she runs an office in Switzerland, where she as an interior designer and set designer creates highly respected spatial staging projects on an international level. A focus of her work is on the design of aesthetically independent interior spaces, where condensed atmospheres allow for new sensuous experiences. In recent years, she received great credit as a designer of innovative bathrooms and wellness facilities. 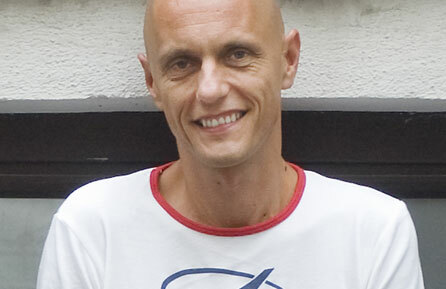 Günter Katherl, born in 1965 in Vöckabruck / Upper Austria, founded the Vienna-based office Caramel together with Martin Haller and Ulrich Aspetsberger in 2000. With their team, they have already implemented various building projects of different scales. A series of individually planned private residences has attracted great interest, among them the “500-square metre living room” project, an unconventional three-storey house on the outskirts of Vienna, or “Haus M”, a project in a top-quality location in Linz with a high degree of prefabrication. Most construction contracts result from the regular and successful participation in international competitions. Besides the implementation of the large-scale projects “Science Park – Johannes Kepler University”, „Wifi Dornbirn”, “Betriebsgebäude Land Oberösterreich Ansfelden”, and “Schule Krems”, the members of the trio dedicate themselves to design studies. Lecture series, teaching courses and art projects are also part of their scope of activities. Their motto is: Every time a new challenge – anew for each project.